Chancellor George Osborne has announced which cities will benefit from a £100m pot of Treasury cash aimed at making them "super-connected". These are London, Edinburgh, Belfast, Cardiff, Birmingham, Bradford, Bristol, Leeds, Manchester and Newcastle. He also announced a further £50m to improve net access in 10 unnamed "smaller cities". Mr Osborne said that he wanted the UK to become "Europe's technology centre". The super-connected cities were first announced in Mr Osborne's autumn statement when he pledged £100m to create 100Mbps (megabit per second) citywide networks in 10 urban areas. By 2015 it is hoped the investments in cities will provide ultrafast broadband coverage to 1.7 million households and high-speed wireless broadband for three million residents. The chancellor also announced plans to extend mobile coverage to 60,000 rural homes and along at least 10 key roads by 2015, including the A2 and A29 in Northern Ireland, the A57, A143, A169, A352, A360 and A591 in England, the A82(T) in Scotland and the A470(T) in Wales, subject to planning permission. 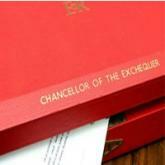 Funding would come out of the £150m investment announced in the Autumn Statement. The government will also consider whether direct intervention is required to improve mobile coverage for rail passengers. Seb Lahtinen, co-founder of broadband news site ThinkBroadband, said the move was "part of a drive to ensure that not only is the UK the best in Europe in terms of broadband speeds, but can compete on an international stage against countries like South Korea". "The announcement by the chancellor is a recognition of the fact that broadband technology underpins the economy as a whole, and in particular the digital content industries in this country," he added. Others felt that money would be better spent in improving rural broadband. "Whilst funding earmarked for ultra-fast broadband in 10 UK cities is both ambitious and heartening, and will undoubtedly benefit technology companies looking to develop and expand in the UK, the primary concern should be the provision of a quality service to rural areas before pursuing the title of fastest broadband in the world," said Julia Stent, director of telecoms at price comparison site Uswitch. "Although there are still broadband blackspots and speed issues in some urban areas of the UK, we worry that the major towns and cities will speed ahead of the rest of the country in the premature quest to become fastest in the world."